When the nominees for this April’s East Coast Music Awards were announced at the end of January, Dropping Inwards, the debut release from Saint John’s Phakt (pronounced “fact”), was one of the five nominees up for Rap/Hip-Hop Recording of the Year. Other nominees in the category include City Natives, Nova Scotia’s Classified, Cess and Quake Matthews & Kayo. Phakt – nee Mike Washington – admits feeling confident about the prospects of being on the receiving end a nomination in the time leading up to the announcement, but that when that prospect became a reality, it was then that it started to sink in. While longevity is top of mind for the artist – a gargantuan task for any musician in today’s musical climate – he is ultimately more hopeful that the songs and stories he has crafted on Dropping Inwards will help put the Phakt name on an increasing amount of radars. In Phakt’s case, the potential of an East Coast Music Award win and the accolades associated with such a victory could be considered a long time coming in one respect. He began dabbling in the creation of music not long after he and his family relocated from Washington, D.C. to the province in 1994. Although he and his family spent a significant amount of time in both Saint John and Fredericton, the rapper sees the Port City as his home. “As much as my musical influences may have come from Washington, my style of lyricism comes from all of my surroundings. Rapping for me started in Fredericton, having been motivated by my older cousin Terry, but my style was shaped and moulded in Saint John. Being here in New Brunswick affected my music in a way that I think is positive due to the fact that with very few people rapping at that time, I had to not only be different or special, but I almost had the responsibility of showing people how this is done properly,” he says. 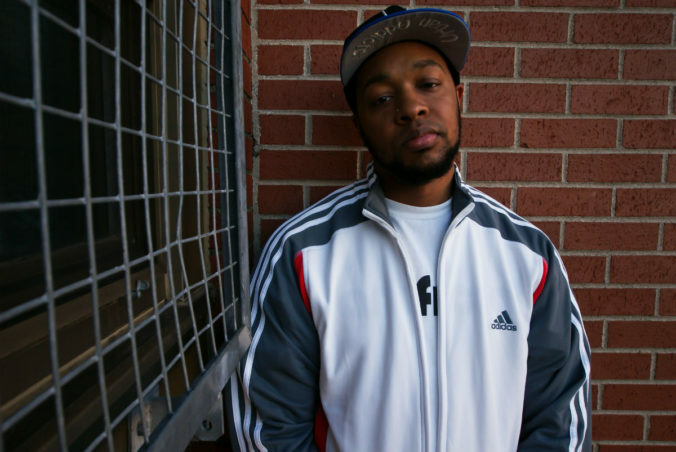 By 2003, rap had become more than just a hobby for the Washington, D.C.-born musician. “For a long time, I never really looked at music as something I was going to do with my life. But with music, everyone’s a critic, myself included. I arrived at a point where I thought that if I was going to be criticizing the work of others, I had to put myself to the test,” he says. Soon after, Phakt began writing original material. Shows and competitions soon followed, as did appearances on tracks alongside JRDN and Kaleb Simmonds. Emerging from the freestyle battle circuit, Phakt emerged victorious from Halifax’s annual DJ Olympics over the course of three consecutive years. “I was fortunate to be put in a situation where I was able to accomplish something with my work. Before I took the step to see how far I could go on my own, I spent a lot of time performing with others on their projects. To have now arrived at a point where my debut has been nominated for an award, it is a big source of pride,” he says.